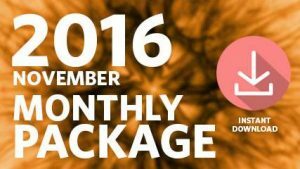 This package includes audio and video from the five sessions of November 2016. Opening remarks by Eloheim: In Level 8 one of the hallmarks is that you get clear and then you act. This will become extremely important in 2017, there’s going to be a lot of stuff going on. It’s important that you have clarity and find a place within that allows you to act on your clarity. Neutral Observation: this was the original tool to shut up the Personality, to tell it to “just STOP for a minute and let me try to see this from the person I am today.” This tool becomes something else in Level 8. Instead of looking at others’ behavior, you neutrally observe your own internal actions and the responses that want to jump up in you and take over. 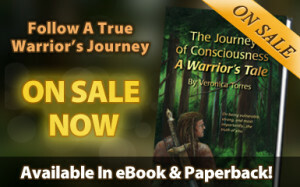 It’s neutral observation of your own inner life, your own inner voices. Eloheim then asked the group for feedback on Level 8 and the teachings. They discussed being aware of our own internal processes, clarity, need/need-met, dropping like a rock into the now, engaging in the now, how to solve problems while being in the Now, and using the brain as the gift it is. “The need that gets met is not the one that you imagined you had. As you drop like a rock and you connect, need and need-met happens simultaneously. The mentally quiet Now is a challenge for people who have big brains to value. You will default to this more readily because it’s your more natural state. In the Now when you’re training yourself to relax, be creative, paint, crochet, puzzle, etc. In the second half of the call, Eloheim switched gears. It’s hard for humans to change said Eloheim. The fact that we have this group of people who committed to change to the degree that you have is extraordinary and we’re very grateful. Our belief/goal was that you would top out at Level 4. So everybody gets to give yourself a big, fat pat on the back for any time you spend in Levels 6-7-8 because it’s uncharted territory that was unexpected. You are accelerating into Level 9 and the amount we are impressed is accelerating. You have decades of life left to be in Levels 7-8-9 and who knows what you guys will pull off?! We are blown away and totally impressed. Good job! We continue to give you additional challenges and opportunities for growth. We have to stay out in front of you. We’re making and laying the bricks that you can stand on for a 1000 years with confidence. We’re building a foundation for a community. You may not need every brick, but the bricks are there for everybody. Everybody is unique in how they grow and what bricks they will need to use. Finally, Eloheim started upgrading some of the tools we used in Levels 1-6 so the tools will serve us in Levels 7-8-9: Don’t be Mean to Yourself, I Don’t Know Anything, Don’t Put Handcuffs on God, Who Answers the Door, and You Can’t Have Change Without Change. This call not only discussed the recent US election, it covered duality, uncertainty, dwelling in the unknown, and making space for the bigger version of ourselves. The first thing Eloheim noted was how our world had shifted. Our society has said we’re ready for a change. The campaign of the winner was based on fear and driven by duality, and Eloheim felt that it was unfortunate. Both candidates represented an oldy-moldy energy. They felt we could do better than this and we will go from here. So, now what do we do, Eloheim asked? Make a decision about what’s allowed in your lap, where you want to see your knowing of “It’s All Me” move. When you recognize It’s All Me, you will see movement in your world. As Level 8 comes online, which is happening in a shockingly fast way by the way, clarity and action-based clarity happens almost simultaneously. Or, Need/ Need met. Clarity is the engine for action. Levels 1-3 are ego-based and driven by “I know what’s best for other people.” Contrast that with Level 8 where you’re hit by a lightning bolt of clarity and the path to navigate the next Now is not a question mark. If you’re triggered, you can’t do Level 7 and 8, and the election results did that for many folks. So focus on what you can change in this Now, the transformation you can make in a small group that will ripple out to the larger community. Eloheim moved on to discuss the upgrade of their tools, and in particular, the upgrade of Neutral Observation. In Levels 7/8/9, Neutral Observation concerns your own inner life and is no longer about other people. It means being kind to yourself and being neutral about the inner chorus of voices that run in your mind. In Levels 7/8/9, when clarity arises, those voices are neutralized so you can move. Levels 1-3 are all about control, Levels 4-6 are about navigating uncertainty while Levels 7/8/9 are about exploring the unknown and “unusual things is.” These things are things unknown to the Personality. If you’re not pushing into the unknown, you’re not exploring the unknown. The Personality is the witness to the purposeful exploration. After these remarks, the group joined in with questions, asking for more clarity. During that time, Eloheim reminded us that we asked for a “bigger version” of ourselves. Seeking the unknown, letting your Awareness lead you, and not using your brain is how you get there. In order to demonstrate what different experiences can be like in the different levels, Eloheim asked the group for examples from their lives. Finally, Eloheim encouraged us to ask ourselves, “How much more of me can I know in this Now?” They suggested we practice dropping like a rock into the unknown with things that don’t change a lot, like things around the house, every day chores, caring for our body, and nature. Our mantra is “I choose to dwell in the unknown.” Let the now Now, not the next Now, be the most compelling thing going on, Eloheim stressed. The answer to everything is in the exact moment we’re having. Uncertainty is about the future, the unknown is about the Now. On a humorous note, Eloheim predicted that in the year 2017, some of us will do “shockingly public things.” We will rise to a call that is way outside of our normal physical world. 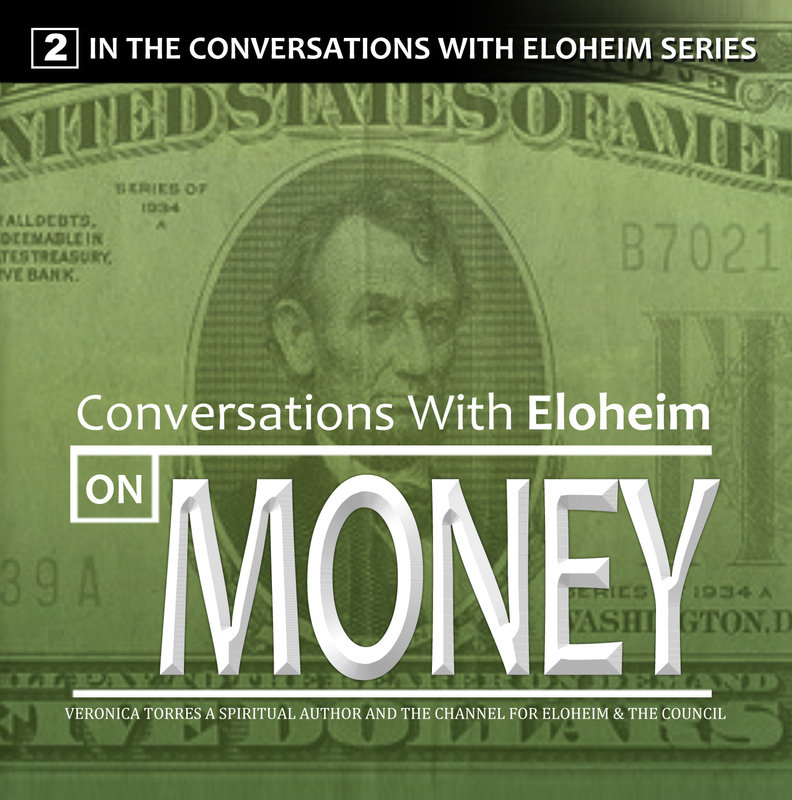 After the US election, a whole bunch of your world is facing uncertainty, Eloheim said. A vast majority are frightened. Using our energetic leadership is required while we interact with everyone. Eloheim asked us to get out of the triggers we are in, first by using the tools we have been given. Then we are to be the calm at the center of the storm. Look for neutrality and be balanced in how much we allow the situation to take up our bandwidth they asked. Eloheim was seeking a way to get to the point where enough of us were non-triggered in order to move the teachings forward. The group chimed in with questions and discussion, veering again toward politics and the unexpected choices of our intimate groups of people. This led Eloheim to introduce the Brown energy system and talk more our relationships to “others” and finding common ground. The Brown system is located between the Purple and the Hamster Ball systems and holds temporary things that we are letting percolate. It’s a layer where we process the things we don’t currently want or need in our Purple or Hamster Ball systems. E asked us to use this Brown system responsibly and not let it accumulate baggage as it’s temporary storage not permanent, while we decide if it belongs in our Purple or Hamster Ball system. Judgment of people’s choices came up and E had some great insight on that. Eloheim informed us that that this is not the hardest time to be human, not by a long shot, and that we’ve made it through worse. They also said this is our opportunity to be energetic leaders, an opportunity to get involved, and that numbers have an effect. Eloheim let us know that alternate expression bleed throughs are likely happening regarding our standing up in the public eye during regime changes. They asked us to work through our triggers so we can move into Level 8. The final part of the meeting was about the difference between uncertainty and the unknown. Uncertainty is tied to the future and Homo sapiens. It causes you to box off possibilities and stay out of the now. The unknown is about letting go and moving in new ways in order to get the new thing. It’s okay for it to be different than it’s been, Eloheim reminded us. This meeting was extremely helpful in working through our feelings about the 2016 election and will continue to be helpful to re-listen to it as we move into even more uncertainty and the unknown. Since no one submitted any questions for the meeting, E chose to talk about whatever they wanted. Eloheim encouraged us to take all the information coming at us right now into our caves and process them without the pressure of the marketplace, all the while knowing that eventually, we will take them back out into the marketplace. This time calls for energetic leadership and to remember that everyone is doing it differently. No one gets their own way in a negotiation, Eloheim reminded us, so when we’re out in the world, the third way is the key. And it’s a little uncomfortable. They cautioned us to not run things through our Blue system. It’s a pattern that we probably go to first. Be aware of that habit. It’s not failure, it’s a pattern, and we know how to get out of it. Eloheim talked more about the election and how folks are reeling, defending, protecting, and feeling rocked by the people in their lives voting differently than they did. They reminded us to use the Brown system in times like this. The things that aren’t ready to be in the Purple or the Hamster Ball can go here. The Brown energy system is an upgrade of “Put it on the shelf.” Don’t go numb, they said. Don’t put something in the Brown and ignore it. And definitely don’t put it in your Blue. Explore how these energy systems work for you. It matters. Seek clarity, not neutrality. What can I do? is a question being asked by many right now. The tool Eloheim offered for that they call “Finding the One Thing.” Despite ideas to the contrary, humans are not good at multitasking emotionally. 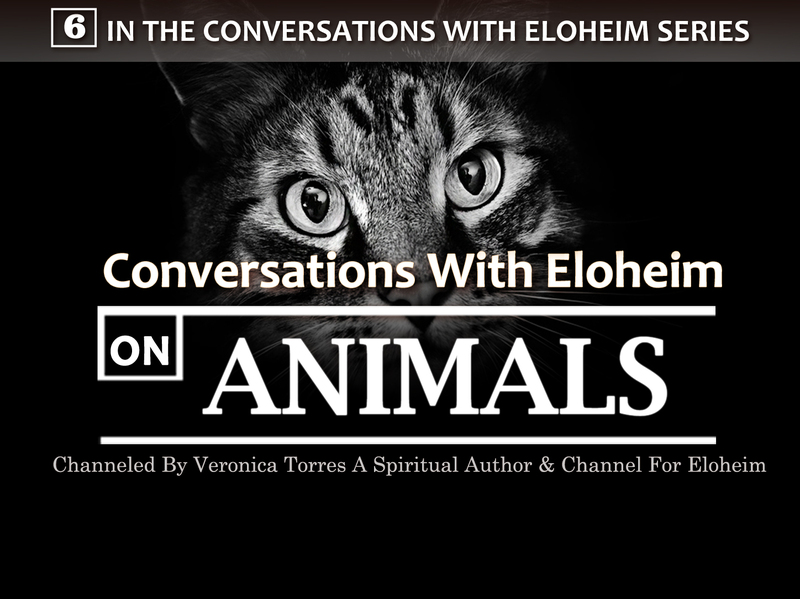 Eloheim tells us we have a list of things we are concerned about and that we really can only do one thing at a time. All those concerns can send us on the re-triggering spin. So, pick one thing and find a way to act on it locally. This is also a gift you can give to other people. Ask them, “Out of all those things, what bothers you the most?” And find out how they can act on that. That’s energetic leadership. Stay calm and don’t let Personality drive the car. Use Awareness. We may not feel the way they feel, but make room for their feelings. Don’t use your survival instinct. They are different, but not scary. There’s room for others to be different than you. Look for ways you are different. Come from a balanced place, and build your muscle using the third way. “You can have easy or you can have evolution.” You can’t have both. Evolution stretches you. Purposely stretch. There are lots of big triggers going on right now and E said they have been preparing us for this. It’s not going to go away. It will continue to give us opportunities to navigate them. Find your one thing. Allow that one thing to fuel you and inspire you, as well as others. It’s the gift you give. Then watch it move. Eloheim asked for questions and input from the group. They discussed the different ways to find and express our one thing to make a positive difference in the world, like kindness or smiling at strangers or a personal body thing. Eloheim requested we share our one thing with the Facebook group. This meeting was a great help in navigating the political and world turmoil going on right now and would be worthwhile to review as we continue to move through the changes. The entire Council was scheduled to speak during this meeting but we had an unexpected visitor show up during Eloheim’s portion. The Guardians set the energy for the evening by placing a dome around the house to make it more private. Moving into the new year, it’s important to find within ourselves our own personal clarity, they said. Levels 7&8 require a new choosing process. We have to be consistent, and embrace and move into the unknown. The Visionaries came next, talking more about the unknown. They described the unknown not as “I don’t know,” but being past it. It’s about accessing potentials and possibilities available to us and that we don’t know how to do that. We are not to imagine we will understand it or know how it feels, just expect it to feel different. Own that it’s different. Change is uncomfortable. The Visionaries highly recommended using Eloheim’s “brilliant” energy systems. At this point, Eloheim wanted to try something new, something unknown to Veronica. Before moving into it, Eloheim led a breathing exercise with the group to relax the body. Then the Voice of Infinite Possibilities began to talk. Veronica has shared the text of their transmission several times on Facebook if you want to read the written transcript. It was powerful and amazing. The Voice spoke of how we called for more support and that’s why they are here. They also said it was never expected that we would get this far, so they were unprepared but that they would catch up. They also said that we are known throughout the Universe for this accomplishment. “It is extremely important that you do not lose sight of the opportunity that is now here.” The Voice reminded us that using the mind is not what will get us there and the mind cannot figure this out. After the Voice spoke, Eloheim talked more with the group, adding clarity to the the Voice’s transmission. Two new tools were added at this time, the Balance Field used for healing and the triangular Dial tool for navigating our world. The Dial tool asks you to imagine the Body-Personality-Awareness as a triangle positioned around your body. Awareness is pointing forward. Awareness goes into situations first when dealing with people. Body will go first when physical needs are present like illness, sleep, hunger, etc. Personality has been the default and needs to step back now. We set the dial.